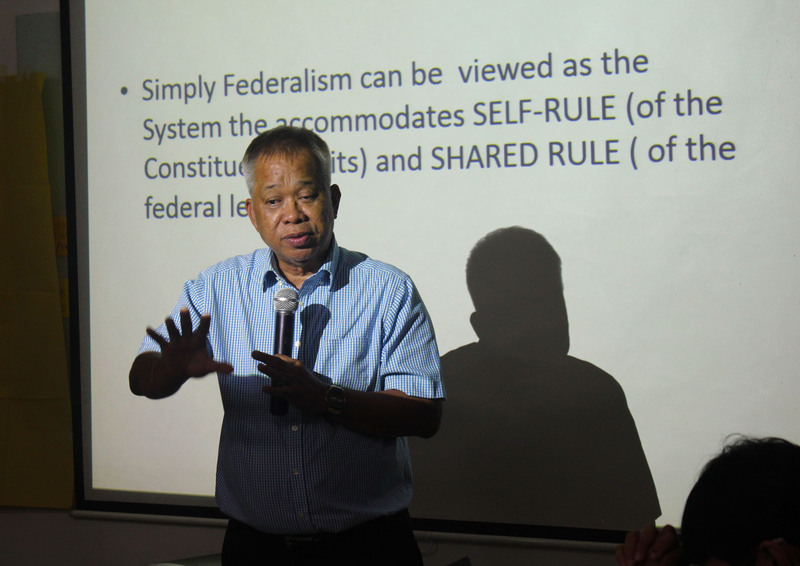 FPE held a series of learning sessions on federalism and its impact to the environment sector was conducted on May 15, 16 and 31. Resource persons were Atty. Marlon Manuel (May 15), Senior Advisor to the Global Legal Empowerment Network, Namati; Undersecretary Jose I. Lorena (May 16) of the Bangsamoro Transition Commission; and Atty. Antonio La Viña, Chair of Forest Foundation Philippines (May 31). These learning sessions are part of FPE’s national situation analysis participated in by the staff and Board to be able to address emerging concerns or opportunities. Atty. Marlon Manuel, Senior Advisor to the Global Legal Empowerment Network, Namati, during his talk last May 15, 2018. Atty. 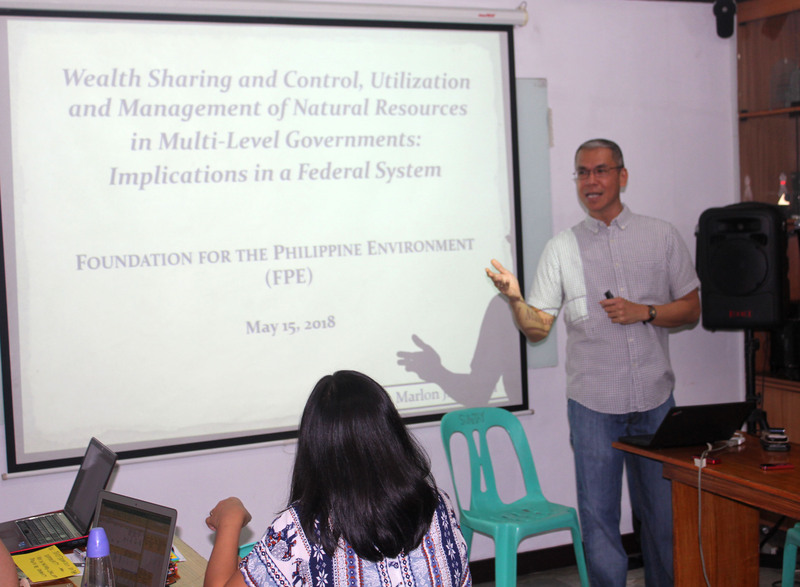 Antonio La Viña, Chair of Forest Foundation Philippines, in the last series of learning sessions on federalism on May 31, 2018.